The CMS on Friday finalized a rule that overhauls the Medicare Shared Savings Program, requiring accountable care organizations to take on risk sooner or be booted out of the program. Under the redesigned program, which will take effect July 1, 2019, ACOs can choose to participate in one of two tracks: basic or enhanced. The basic track, which has a five-year performance period, only allows ACOs entering the program to be in a one-sided risk contract for two or three years depending on their revenue. For ACOs previously in the program, they can only be in a one-sided risk model for one year. In subsequent years of the basic track, ACOs will be forced to enter contracts with "progressively higher risk," according to the CMS. The enhanced track is based on Track 3 of the Medicare ACO program, which is the most advanced track with the most downside risk. "All ACOs are expected to transition to the Enhanced track under the redesigned program," the CMS said. The agency expects it will save $2.9 billion over 10 years. In a statement, CMS Administrator Seema Verma said the re-designed program is part of the transition to value-based payment. "CMS is hard at work to move to a value-based system ... It is incumbent on our agency to not just pay for healthcare services as they are billed but rather to ensure that patients are getting value for the care that is provided. To this end, we are developing and testing new payment models to transform our payment system, and today's changes to Medicare's ACO program are a critical component of that transformation," she said. The re-design allows the CMS to automatically place ACOs in risk-based contracts after certain time periods. For instance, ACOs entering the basic track in July 2019 will be advanced to a risk-based contract at the start of the performance year in 2021. The re-design also enables physicians who are part of ACOs in both tracks to qualify as advanced alternative payment under MACRA once they transition to two-sided risk contract. The CMS made some changes from its proposed rule in August. Initially, one-sided risk ACOs were only going to receive up to 25% in shared savings, but the agency increased it to 40%. It also modified the threshold to qualify as a low-revenue ACO from less than 25% of Medicare revenue to 35% of Medicare revenue. Low-revenue ACOs will also have three years to be in a one-sided risk contract instead of just two years. In a statement, Clif Gaus, CEO of the National Association of ACOs (NAACOS), said he was "very pleased" with the CMS' changes from the proposed rule. Gaus added that NAACOS will continue to advocate against CMS' decision to force ACOs to take on risk after two years in the basic track. "These polices may present challenges to providers who want to participate in this important, yet voluntary, Medicare program," he said. "NAACOS believes there needs to be movement toward greater risk, and that movement requires an appropriate and reasonable glide path to encourage participation and success." Because of its changes, however, the CMS now expects to see growth in ACO participation. The agency expects to lose just three ACOs for the 2019 performance period but gain 10 in 2020, 12 in 2021 and 43 in 2022. 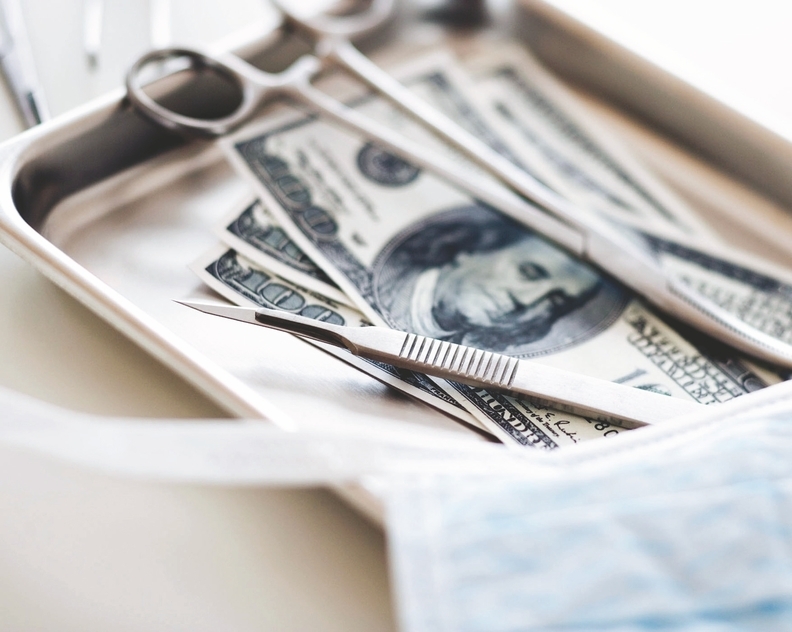 A survey conducted by NAACOS found that most ACOs said they were likely to leave the Medicare Shared Savings Program if they were forced to assume risk. The CMS will also now require ACOs to provide beneficiaries with either a written or electronic explanation of what it means to be in an ACO "to put patients in the driver seat." The overhaul of the program is a dramatic change for ACOs. Previously, ACOs could be in a one-sided risk model, otherwise known as Track 1, for up to six years. And since the Medicare Shared Savings Program launched in 2012, ACOs have been risk-averse. Only 18%, or 101 of the 561 ACOs, were in a downside risk-based contract in 2018. Since most ACOs have been so reluctant to take on risk, the program hasn't saved much for Medicare. In 2017, the CMS scored a $313.7 million gain from the program, which is marginal compared with its overall budget. The CMS is allowing ACOs with agreements expiring on Dec. 31 to extend their agreements for six months so they can transition to the new policies that begin in July uninterrupted. ACOs have until Jan. 18 to apply to join the new re-designed program. David Muhlestein, chief research officer at Leavitt Partners, noted the Jan. 18 cutoff doesn't give organizations who were "on the fence" about joining the program a significant amount of time to apply.